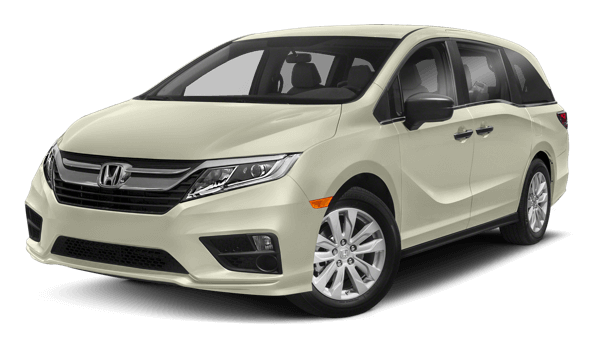 The Honda vacuum is standard on touring and elite 2018 Honda Odyssey models. For this reason cleaning is easy no matter where you are. The Honda Vac comes with an 8 foot hose accordingly making it long enough to clean the entire car. It also includes the gulper and crevice extensions which are designed to fit in every nook and cranny of the Odyssey so every mess can be reached easily. The vacuum is neatly stowed away in a side compartment in the cargo area giving it easy access at all times. The power button is located in the compartment as well. The Honda vacuum will work with the cars engine on or in accessory mode. Therefore if you want to use the vacuum in accessory mode just press the start/stop button without pressing on the brake. In accessory mode the vacuum will run for 8 whole minutes before cutting out to save battery power. When the engine is running you can use the vacuum as long as you would like. To use the Honda vacuum press the power button located in the vacuum compartment, pull out the hose, add the extension you would like to use and start vacuuming. The Honda Vac comes with a replaceable filter and bag although the bag is not completely necessary for operation of the vacuum. The canister is located in a compartment directly beneath the hose and attachments. Therefore emptying out the canister couldn’t be anymore simple. With the touch of one button the canister slides out easily. From there the canister can be poured out and then just simply slid back into position. Replacement bags and filters can be purchased at your local Honda dealer. Below is a short video to get a better visual of how the Honda vacuum works.